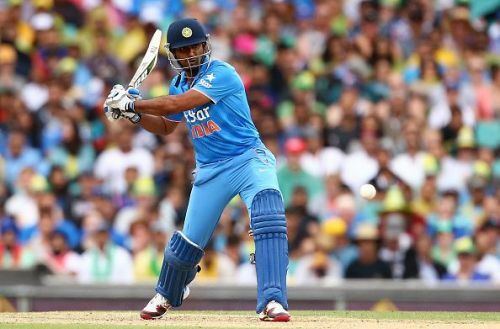 Ambati Rayudu, who is back in the Indian side for the Asia Cup 2018 after clearing the Yo-Yo test, admits that while the absence of Virat Kohli is a big loss, India still have enough to go out and make it back-to-back Asia Cup titles. The 32-year-old also admitted that he isn't looking at the World Cup just yet and is just concentrating on doing well in the UAE as he hopes to make a successful return to the ODI side. Speaking ahead of the first game in Group A between Hong Kong and Pakistan, Rayudu admitted that the presence of MS Dhoni will be a big boost to the side as he is everyone's "go-to man". "Obviously he (Virat) is a big miss and loss to the team. However, we still have enough quality in the team to go out and win. He (Dhoni) has been India's captain and always been the go-to man for everybody in the team," Rayudu said. Rayudu also credited Dhoni for his performance in IPL 2018, where he finished as CSK's leading run-getter with 602 runs but admitted that he isn't thinking long-term just yet despite the absence of Kohli and the vacant slot in the middle-order. "To be very honest, (I) haven't thought about it or looked at it as a competition. It's just an opportunity to express myself and (I) don't want to put more pressure to my game by thinking about these. We are in for the Asia Cup and I don't think anybody is thinking about it (a World Cup spot) right now," the 32-year-old said. India begin their Asia Cup 2018 campaign against Hong Kong on Tuesday before playing arch-rivals on Pakistan on Wednesday. Although Rayudu admitted that two games in as many days will be tough, he doesn't think that it is a disadvantage. "I don't think it will be a disadvantage. It will be definitely tough and I'm sure we will do the best possible things to recover and go out fresh to play the next game." Speaking about making a comeback to the national side at the age of 32, he said: "This year I played well in the IPL. The main thing is that I feel age doesn't matter as long as you are fit".